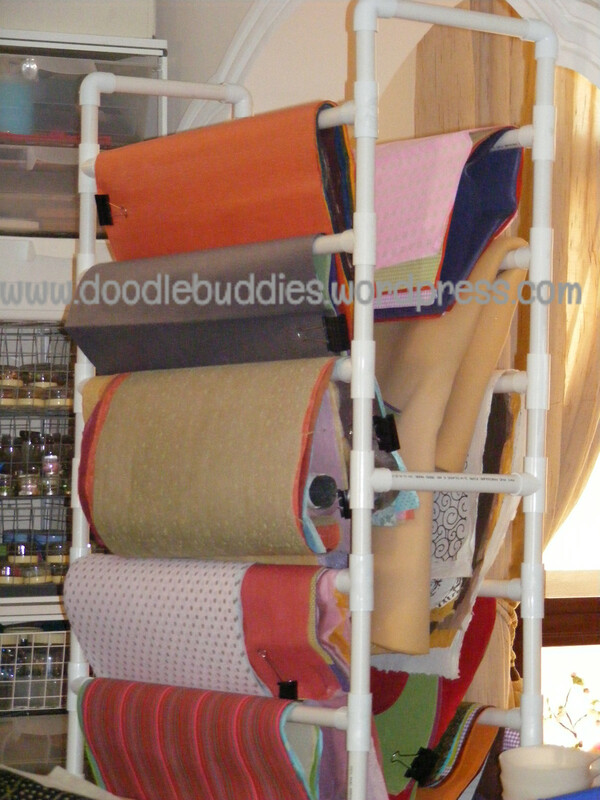 Two important aspects of any crafters life is inspiration and storage !! And somehow both these two aspects seem to go hand in hand. 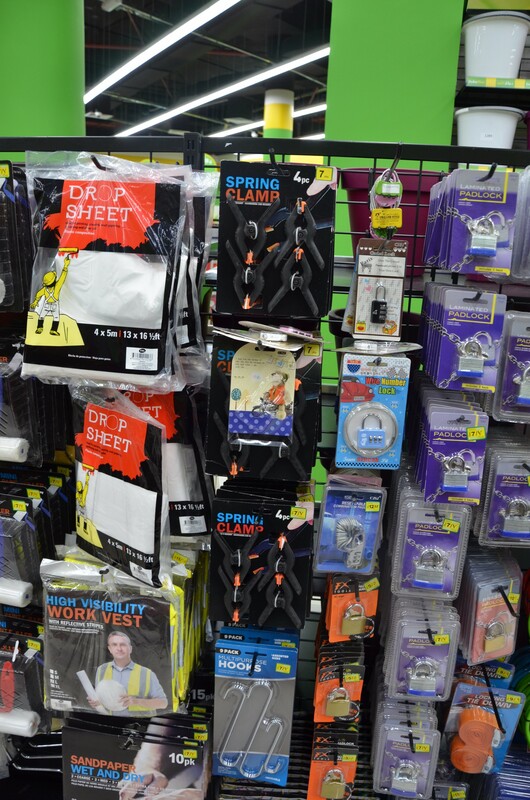 Although I “think’ I breeze through, even in a cluttered chaos, I know, I would be much more productive in a more organized set up, where all my tools and supplies are easily accessible. So these past weeks, i used up most of my “recyclable stock pile” and made a few desk organizers. I hope you enjoy this pictorial and find some inspiration to use up those cans lying around in the kitchen. Clean cans thoroughly and organize them in a rectangular or circular manner. Decide in which order, you’d like to place the cans. The 1 kg yoghurt bucket, comes with a white handle which fit in, snugly in the middle container, so that I could be lifted. So as to enforce them together, I wrapped them with a large ribbon. 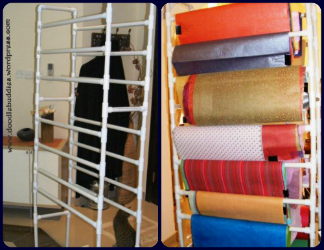 You can use any fabric, ribbon or even jute or twine. I also adhered this lovely frill ribbon from Daiso, on the edge. 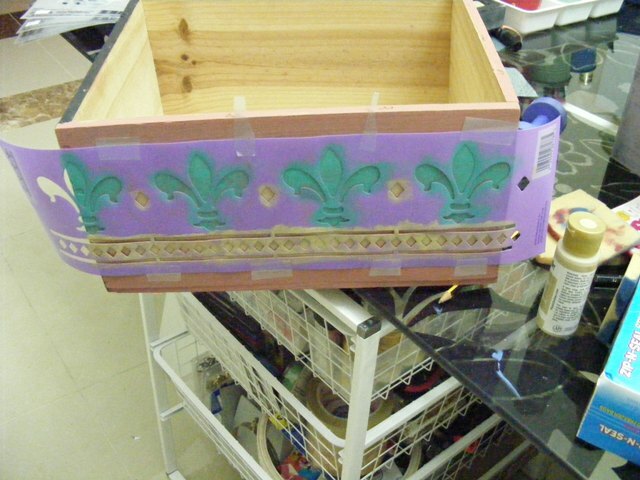 I am using the lid of the cookie box as the base of the organizer. 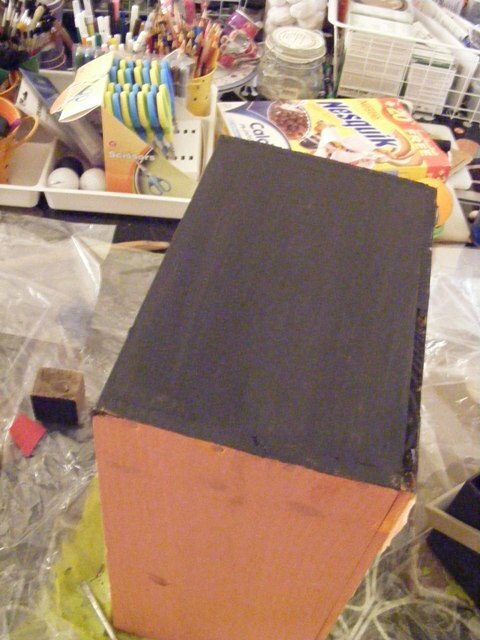 I used STRONG STIK glue to stick the cans to the base. 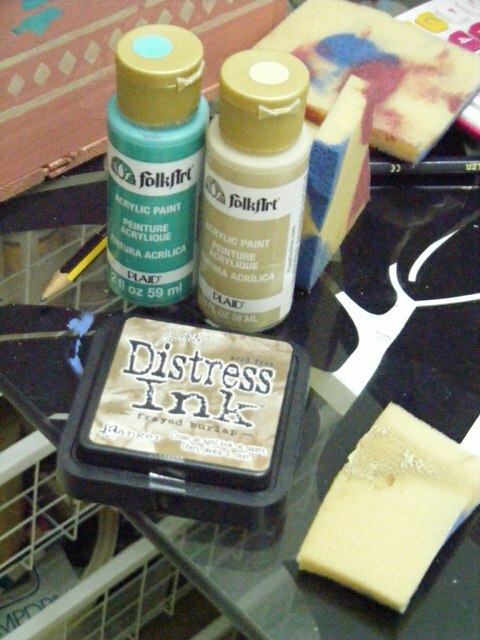 It is a remarkable glue, which I bought from Creative Minds. I was not quite satisfied with the ribbon, hence I added two thinner orange ribbons on the border to give it a more defined look. This silver stand had not been used in decades, so it was more than happy with its new found job role !! It provided a much needed height and was quite stable. We don’t want a stand that could topple all the contents. I love how all my promarkers, copics and paint markers are all now easily accessible. Its such a huge relief and joy. I’m inspired to make a few more of these to house my scissors and paintbrushes etc. 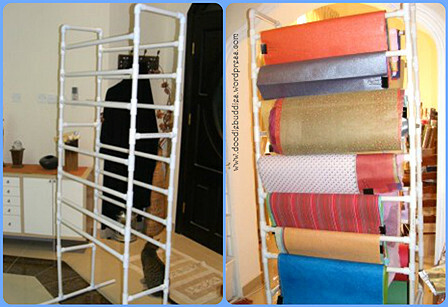 Please drop in a line to tell me if and how, you liked this frugal creation. The Ultimate Art and Craft Box / Kit ! This is a simple post about helping Moms, new Moms, creative and Non-creative Moms understand, how you can get alittle organized beforehand and make beautiful memories while your little one enjoys spending that special time with you. I’ve been a craft artist for nearly two decades. I love crafting. It is not only my passion, but it also completes me. 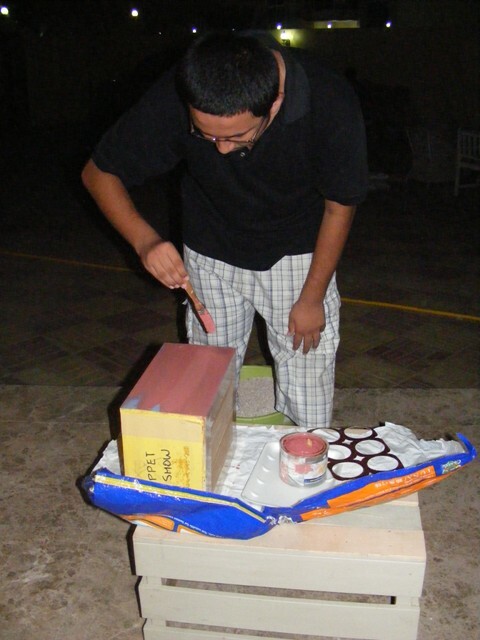 “Crafts” is a tiny term which encompasses a whole range of activities. Unfortunately most of us, tend to associate it with painting or drawing or probably alittle bit of cutting. But that’s not necessarily all that there’s to it. I’ve taught in a couple of schools but several prestigious art institutes. I’ve held Mother & Toddler classes, Workshop for ladies and classes for youngsters as well. Today, in this post, I will address one concern that most moms have echoed over the years to me, how they find themselves all over the place when it comes to having some craft time with the kids. 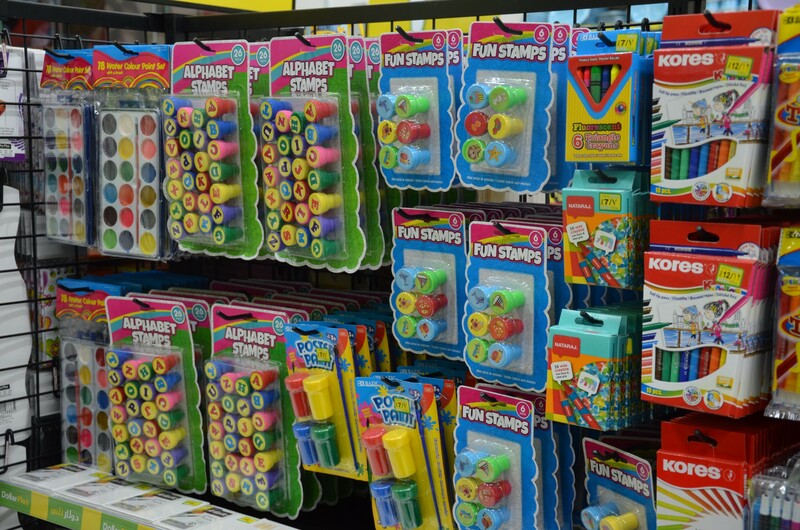 Please hold your ‘fun craft time’ – as a time to explore new activities TOGETHER. It is a time when you actually MAKE MEMORIES – its supposed to be FUN. Not a task. Please know, that NO ART WORK is ever “COMPLETE OR PERFECT” – it is ALL in THE PROCESS. Please remember, appreciate your child’s effort, no matter how tiny. He is trying to please YOU as well. So, I’ve decided to address all of these 6 issues one by one. Moms who have toddlers in their troublesome twos, realize that children need various activities besides toys, to keep them stimulated. Hence in a desperate attempt to help the little one, they grab the first craft kit that they come across in the supermarket aisle. 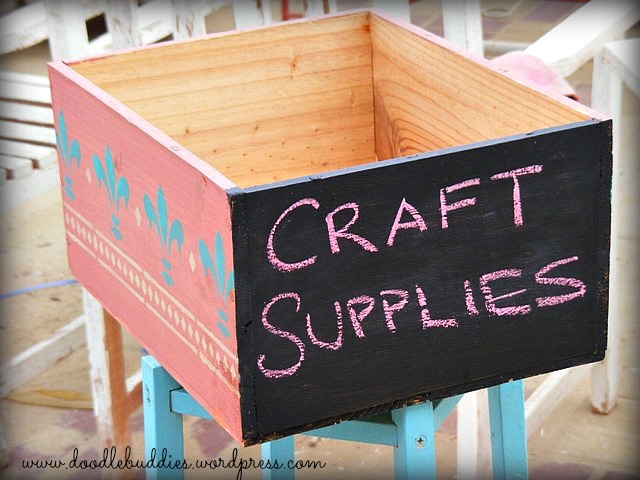 However, I agree that most craft kits are aimed at a specific activity and supplies are really limited. I’m going to advise you on how you can ease the process of crafting with your toddler/little one. Please remember, children are not just visual learners. They learn by touch, feel, smell, sight, sound and THE PROCESS ! For the first 5 years of their life, they are still getting the hang of the hand and eye coordination – gross motor skills. They are virtually charged 10 hours of the day to play, practice and have fun. Thru it all, they are LEARNING. Adapting to their environment and understanding their own movements. Let us consider a routine scenario. 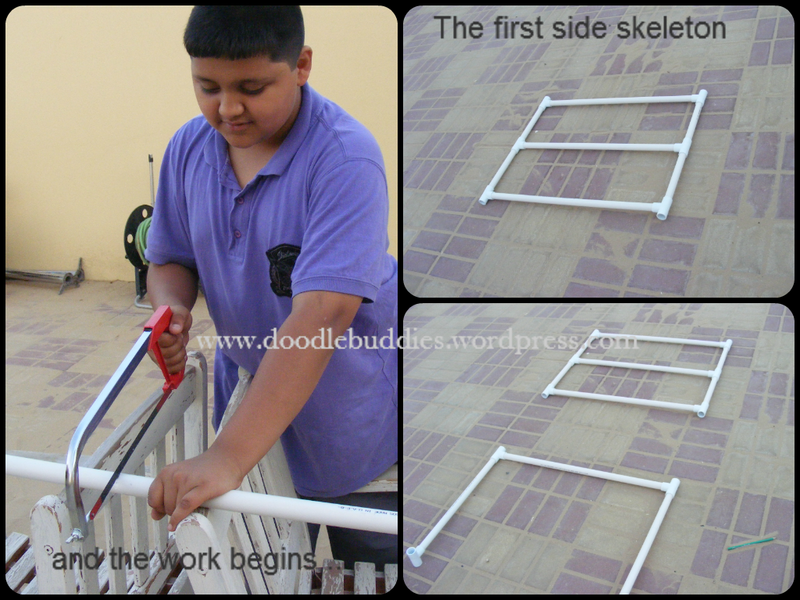 Realization – most crafts kits are aimed at children older than 5 years !! 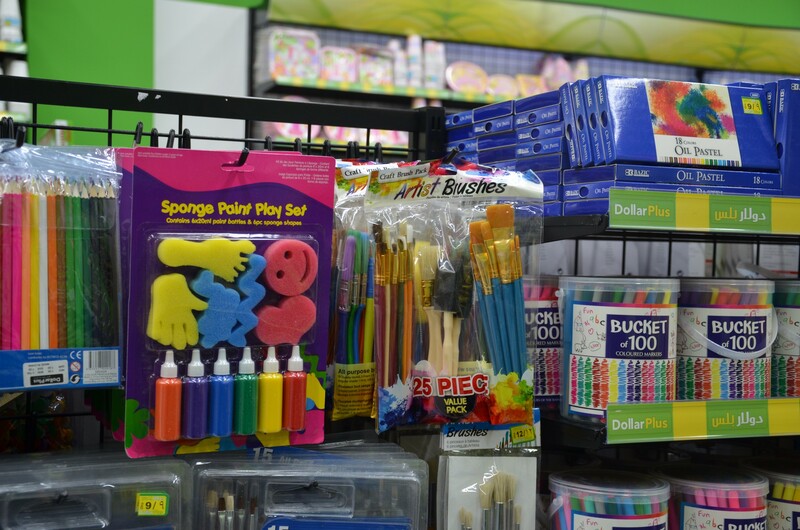 Heaps of toys are available – but not craft kits ! 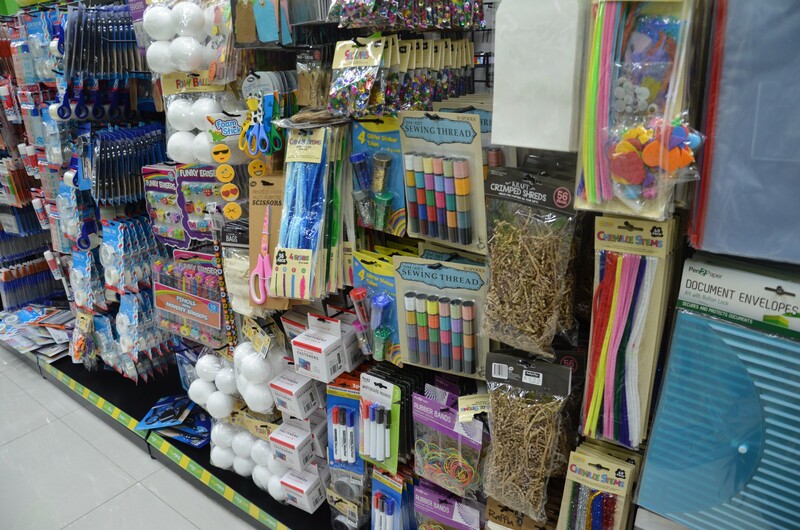 FYI – one of the reasons for this is that alot of craft supplies have small objects which can cause choking hazard for little ones and companies do not want to risk getting into such waters. Ofcourse you can opt out and buy one of those ridiculously expensive painting kits with sponges and fancy brushes (Point 5 is valid and real) But then of course, Mom can splurge over little Sarah. So Mom buys it and brings it at home – 2 days of fun and mess later, chances are a few of the brushes ‘may’ have gone missing under the sofa, the paint tub is all but nearly over and our little Sarah has decided, she’s had enough of Mona Lisa. (point6) Most little children have a short attention span. 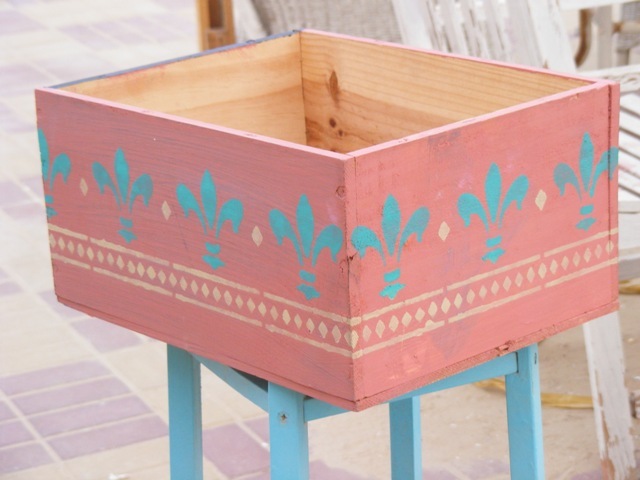 Give them easy crafts to work with. They may work with one painting but once its over, they need something different. This is where little Sarah is restless and Mom is getting frustrated too as her she realizes these craft activities are probably not her cup of tea !! THIS IS WHERE I STEP IN !! Don’t fret and fume Mama. Read on …. there is relief for you. I highly encourage little children who are still developing their gross motor skills to use crayons or color pencils rather than colored markers. Please remember, a scribble made by a 2 year old, might be an entire story from his imagination. Hence please appreciate it and ask him/her questions relating to that. See how his/her eyes sparkle as he describes 3 stories from one picture !! 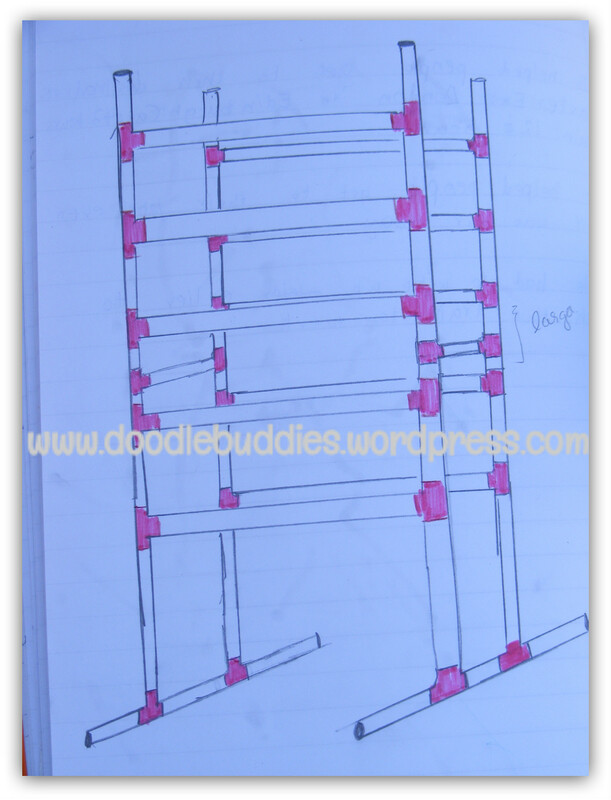 Avoid buying large A3 size drawing books becoz children tend to use only a partial amount of space. Infact, I keep photocopier sheets handy, which can later be framed or placed in protector sleeves and hung up on the fridge or their study desks. Don’t underestimate the importance of the humble rubberband. Also remember to pack a few of the large black paper clips. 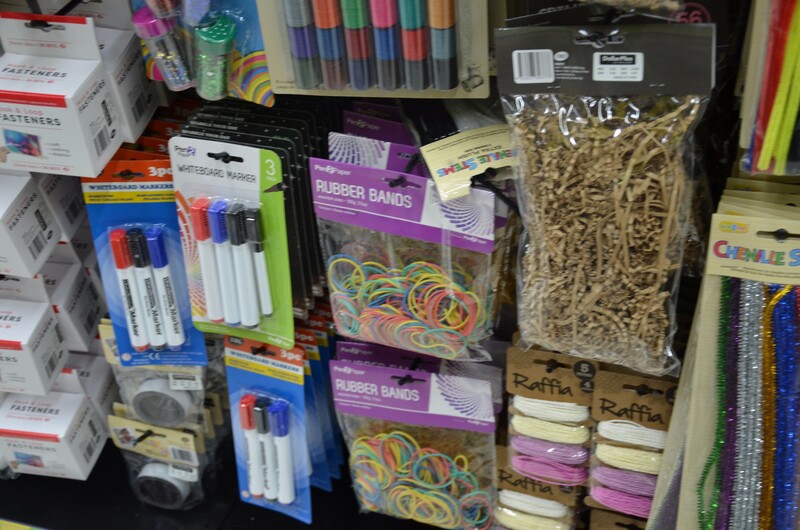 Alot of crafts ask for pipecleaners too. From acting as the stem of a flower, to the antenae of a butterfly, pipecleaners/chenille have plenty of uses. Several crafts require drinking straws. They are colorful, they are easy to manipulate and children associate blowing air or making bubbles with them. 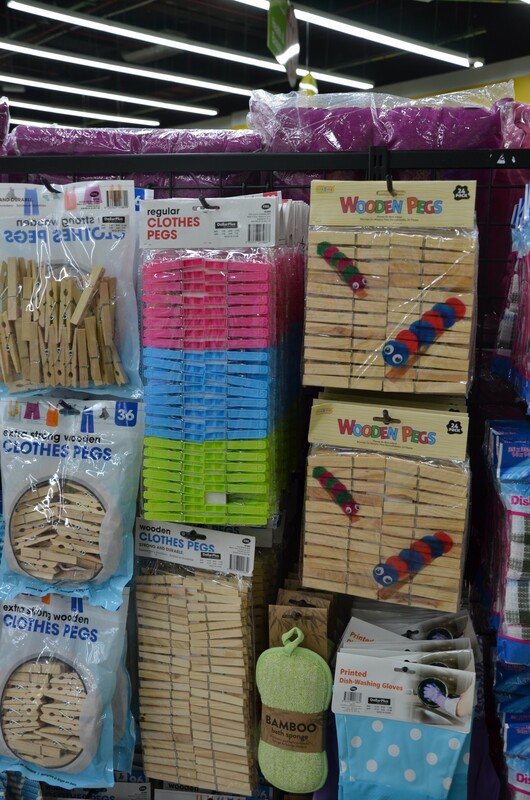 Long after the clothes have been dried, these clothespin will be super handy in the craft box. From the body of an insect to decorating a recycled jam jar, there are endless uses of this innovative creation. 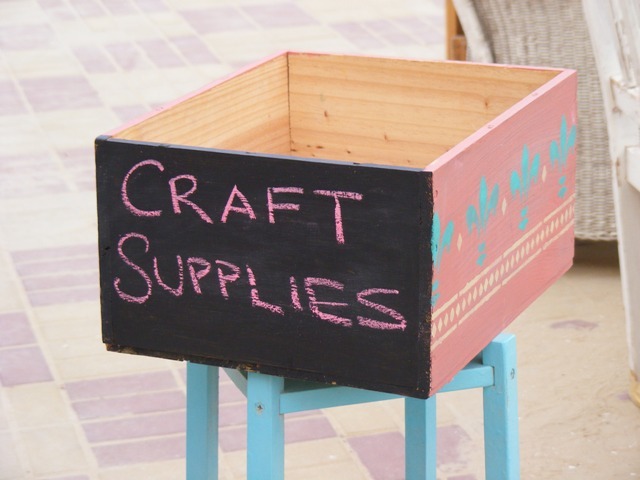 An absolute Must-have for our craft box. 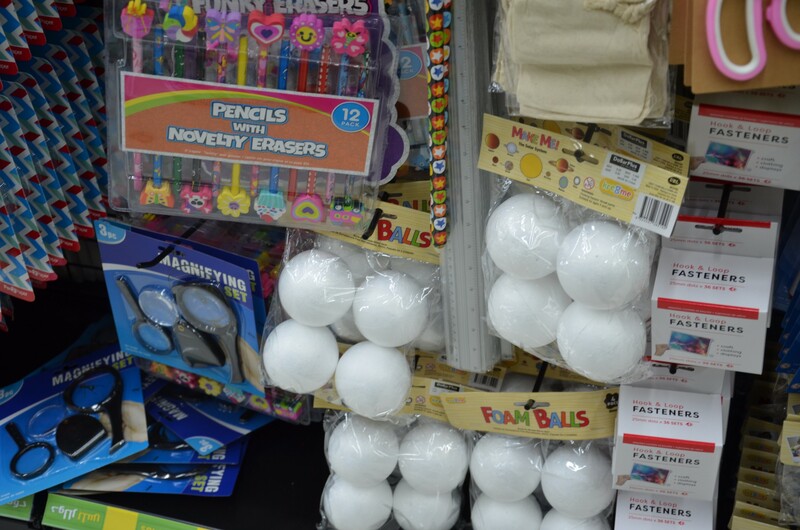 Styrofoam balls come in various sizes. Apart from the easy snow man, you will find several sites full of ideas on how to use these, creatively. Below, you will find tiny sparkling stars in packets, pipecleaners which are plain and sparkly, styrofoam balls, childproof scissors and glitter tubes. I would definitely include all of these EXCEPT GLITTER tubes. They are a highly messy idea and I would prefer the children to be atleast 6 years old before they get their hands on glitter. I absolutely LOVE this bumper kit. 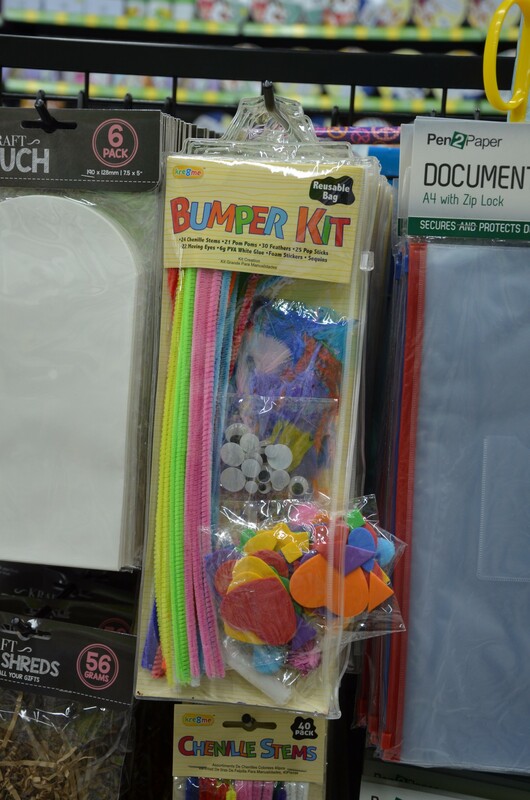 You could buy the items individually or just add 2 packets of these in our craft box and Voila ! 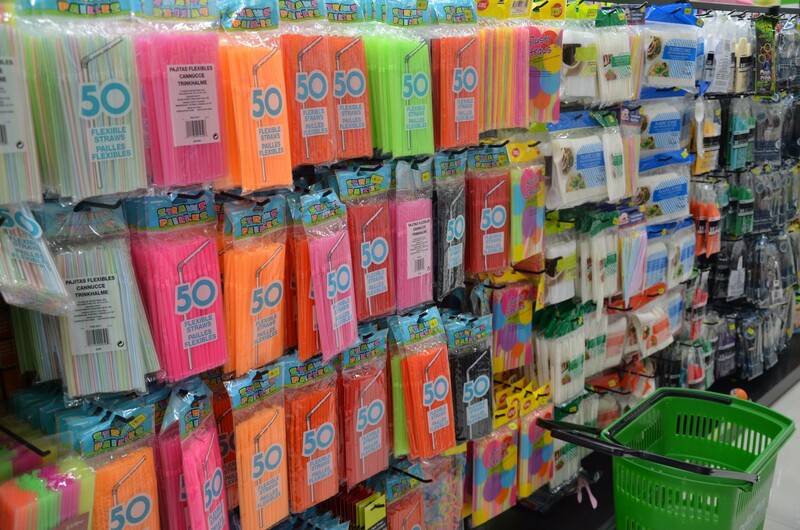 Tip – These could be included as return gifts for birthday parties too !! 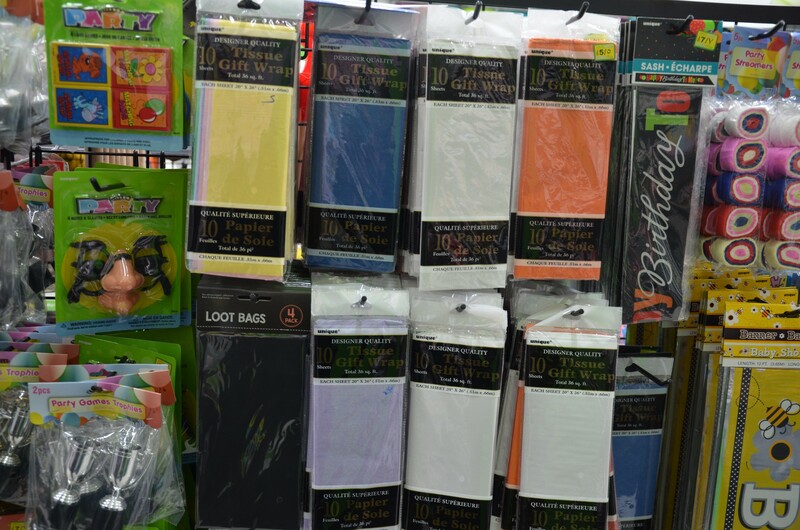 If you are not able to get crepe paper, the below tissue gift wrap paper will do the trick just as well. Most crafts for tiny toddlers revolves around tearing bits of pieces of these sheets and sticking it to various items. 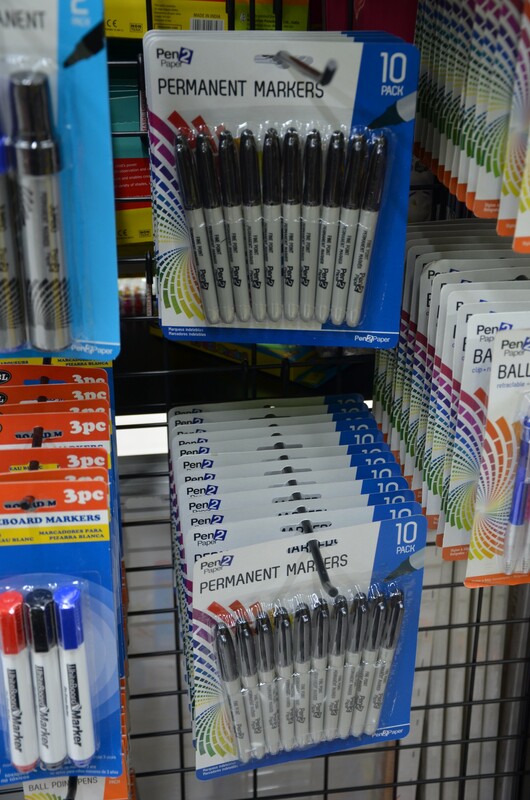 I don’t think, any craft kit can be complete without a Sharpie marker. Although the below marker is NOT a sharpie, I think, it might do the job ! Traditionally these are alcohol based hence you can use these to draw on plastic and metal. The value pack with 25 pieces is ideal. 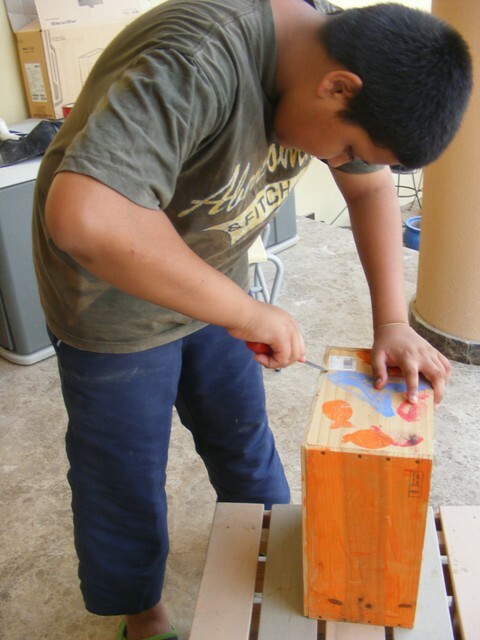 It is always advisable to use the thicker paint brushes for children. Don’t expect little fingers to hold tiny brushes. These kits with sponge faces are also fun for little ones. Just drop alittle paint in a paper plate and dab the sponge for endless hours of fun !! These alphabet stampers are good when you want kindergarten children to practice remembering their alphabets OR sounds. It takes the stress off, from having to write. But they are optional. Every mothers nightmare is the aftermath of an art and craft activity – This drop sheet should be able to solve that issue, Mom ! Just spread it on the table or floor and use the spring clamp (in the below picture) to hold it tight to an object, alternatively, you can use the white and blue striped sheet rolls, available in supermarkets. They too are efficient. 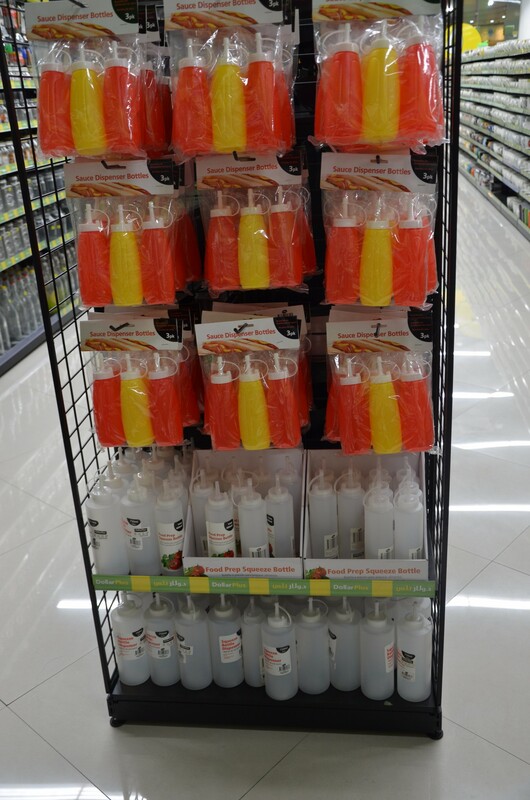 One fun item I would include would have to be these Ketchup dispenser bottles. Use ? 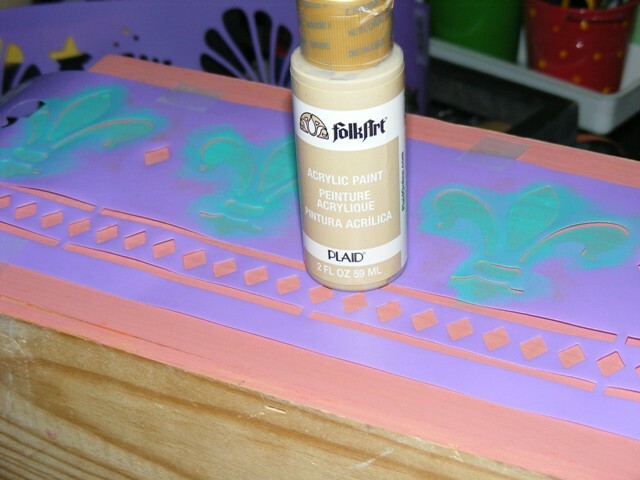 – You can find several recipes for puffy paint and these bottles are perfect for squeezing the paint and designing with. Here are some more tips. 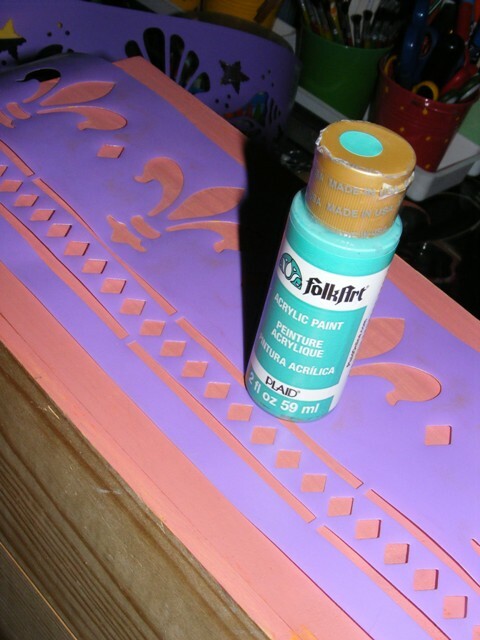 A glue gun is a handy tool (almost an essential item for every Crafter) . However, it can be introduced to children once they are over 10 or 11 years of age. When working with little children, use only paper masking tape. Not the plastic kind. Please don’t buy the plastic scissors for toddlers. It practically NEVER works. If you want to know which is the best brand for erasers and sharpners, kindly subscribe to my blog for the next post which will have details on various brands. Over the years, I have realized, aprons don’t help all that much. It inhibits their movement and if anything, the plastic rubbing against eachother is a bother to most kids. Just get them dressed in one of your husband’s old Tshirts ! Red, blue and yellow are primary colors, inorder to attain any other color, you just have to mix, any two of these two colors. 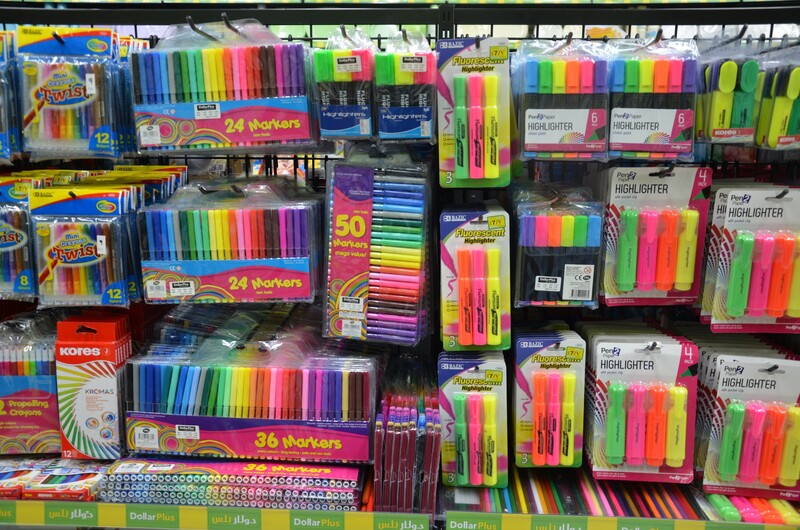 So you don’t need a dozen tubs of colors. A few will do. 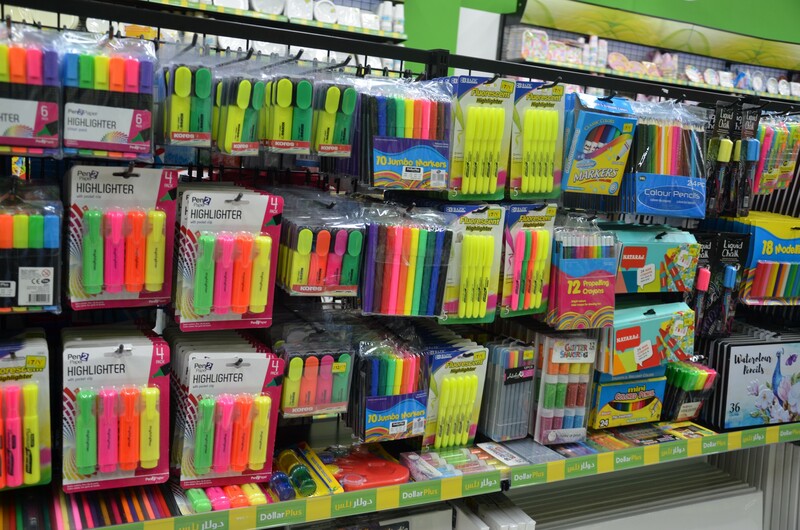 I have compiled this list considering almost all homes have paper staplers and paper punches ! So there you have it ! All the pictures in this post were taken at Dollar Plus. *However please note, this post is not in affiliation with them. I am NOT being compensated by ANY Dollar store for this post. When I share my experience or any information with you over here – it is done purely to help, moms, teachers, crafters, students and people who don’t have the time or energy to research these avenues. I have NOTHING to gain from it except perhaps some appreciation from people who leave kind words of gratitude in the comments. Treasure Hunt Thursdays ~ From my front porch to yours. 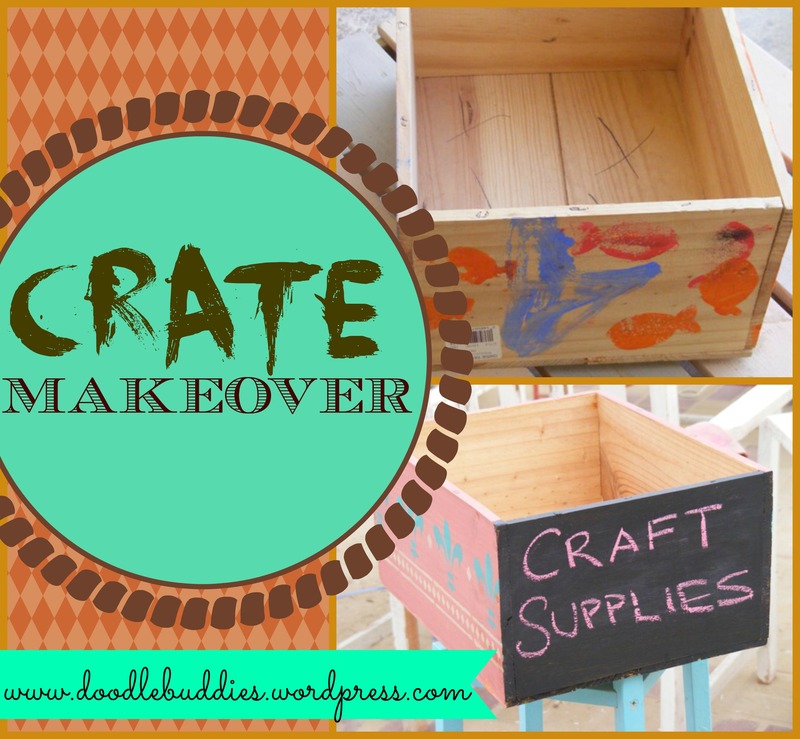 Wooden Crate Makeover ~ Tutorial. Naturally (darlings as they are) my boys always come to my rescue (or should I just say, I have my ways of persuading them !!) 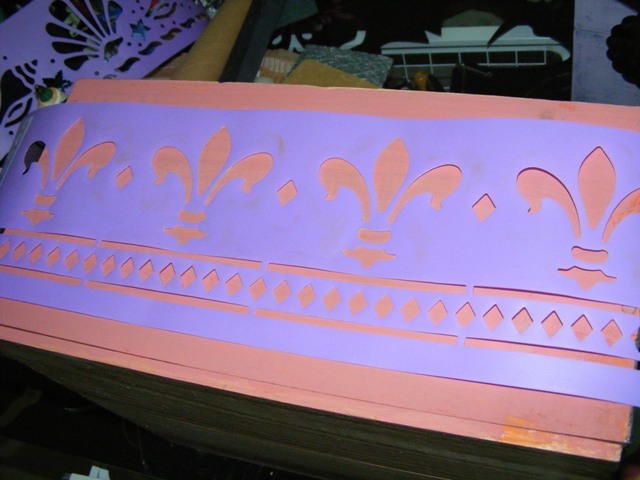 We got all those hideous stickers out, alittle sanding, 2 coats of matt pink paint, some stencils on the longer edges and some chalk paint on the shorter edge and we have a pleasant looking crate ! I think, all the pictures are in the way of a self-explanatory pictorial. 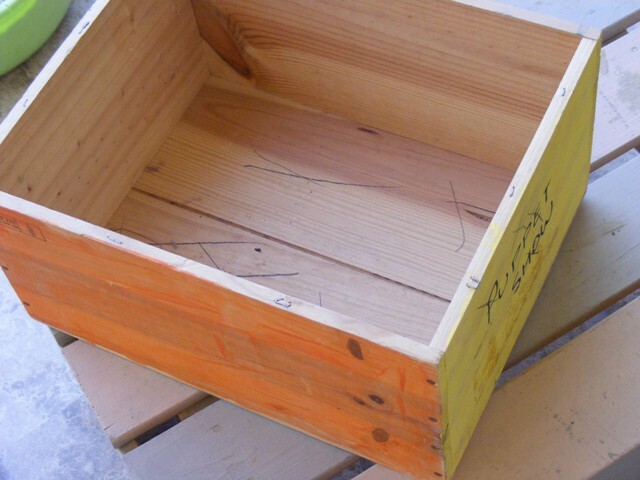 I hope you like the new look of the charming little crate. 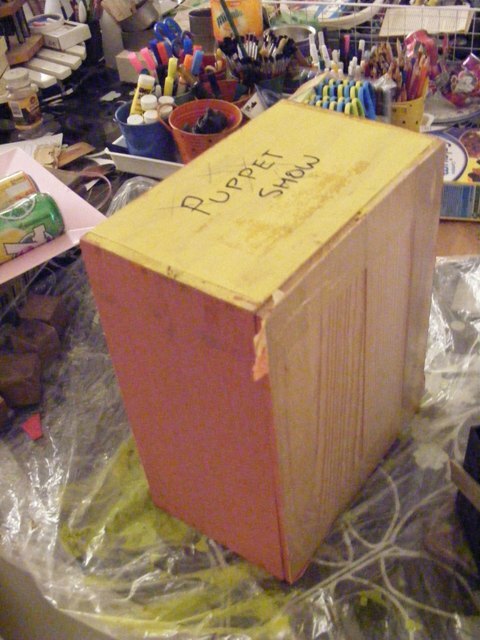 It has been housing several tiny buckets of paint brushes, copic markers, and stationery. 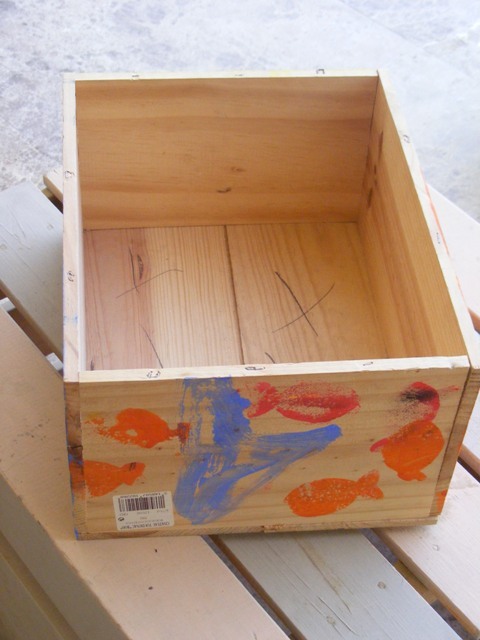 I am sharing this crate transformation with the following link parties here. Moving to the new house has given a huge boost to my creativity. And part of the reason is that, it is just large enough to “ALMOST” house all my supplies. Most of the handmade paper, I carry, comes from India, and as such, their dimensions are far from the 12 x 12 traditional design scrapbooking paper. With a paper width of 26 inches ~ I had been struggling for many years but managed to keep them rolled up in baskets and open cartons and occasionally using some of them. However It was very inconvenient, mainly becoz once they were used, it became extremely difficult to put them back in the baskets/cartons. One of my main worries was how to house these papers. 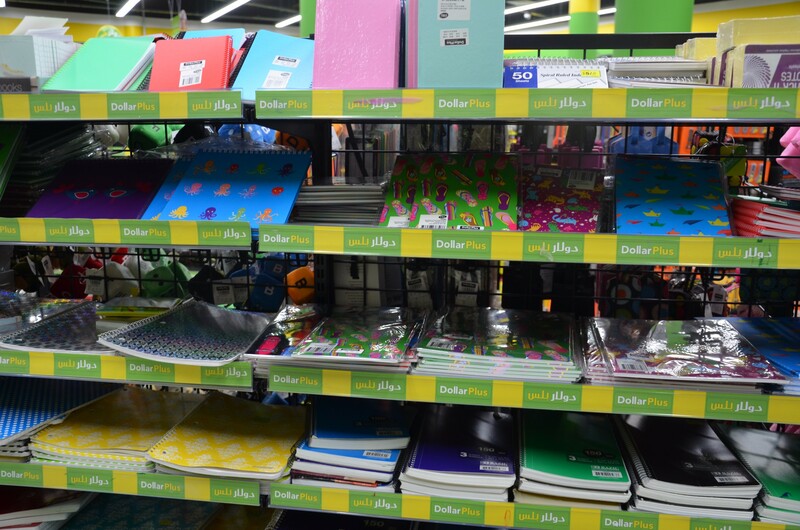 I browsed a lot of options on google but sadly none of the wire racks could accommodate the large sheets of thick paper. 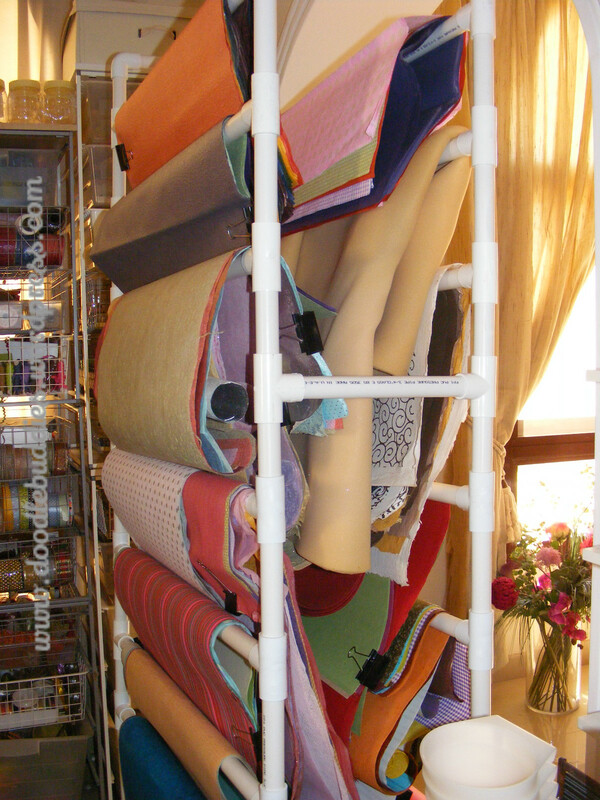 Being a very “visual” kinda person, I wanted a support system where I could see the different colors, patterns and designs in the sheets. Not somewhere where I’d have to roll them away and rely heavily on my memory. After letting this matter simmer for nearly 3 months ~ I spotted an idea on Pinterest ( Isn’t Pinterest just the most awesome mini world, there is, where you just don’t want to leave ever from ?? ) 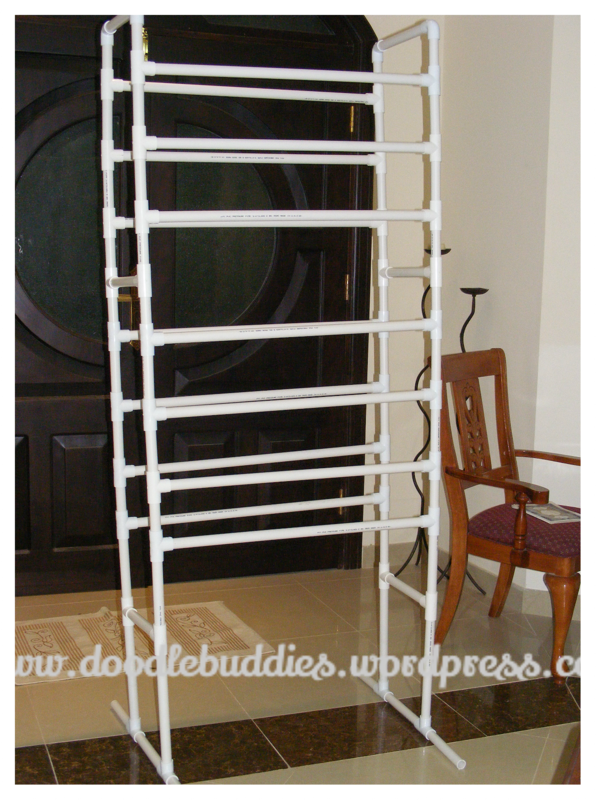 about how someone made an awing for a birthday table with PVC pipes !! Voila ! Still alittle unsure, I just had to see if the PVC pipes could handle the weight of 109 sheets !! And I wouldn’t really know, until I actually came up with a plan. Yep !! This IS the plan ! We used the manual jig saw coz the electric one could snap the pieces. 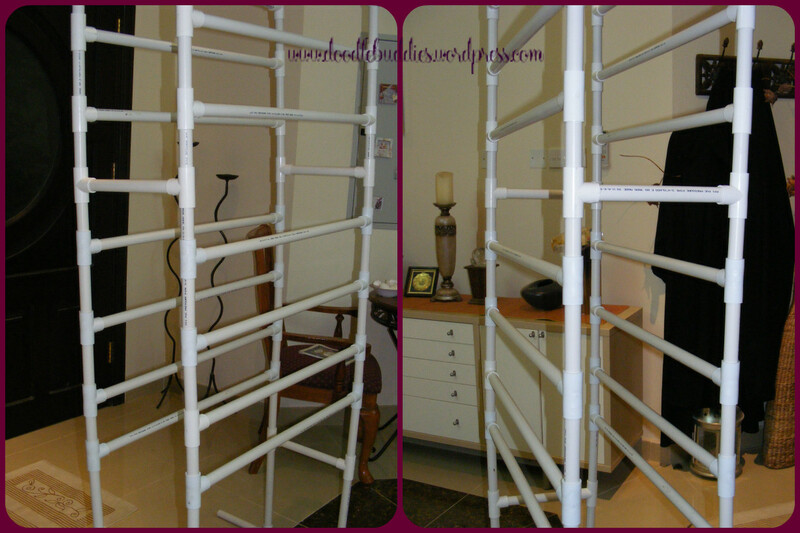 PVC pipes are sold in very long pieces so you have to have an estimate of how much you might be working with. Again, I also included the T angles and the elbow joints as well. If you notice the blue print carefully, you’ll notice, I made a lot of changes to the actual construction as per stability and balance needs. 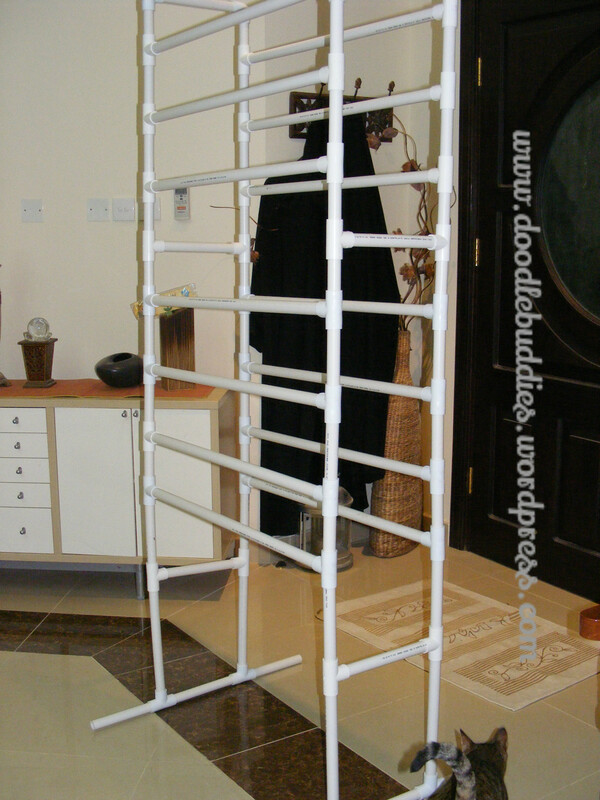 The thickness of the pvc pipe, I used is 1 inch. I used a rubber hammer to fix them. 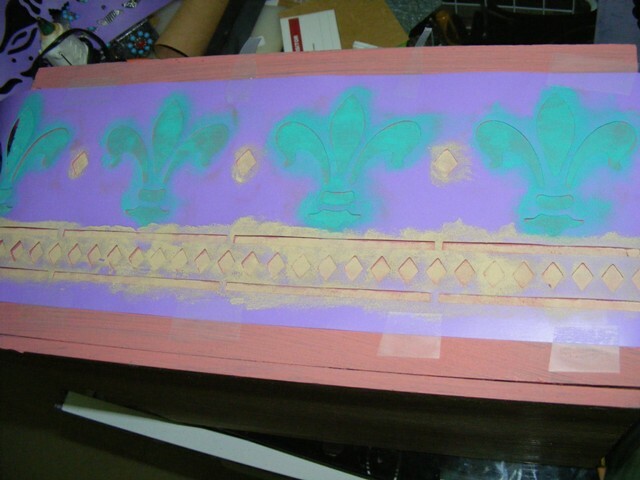 Luckily, I did not have to use the PVC glue that you can see in one of the earlier pictures. And finally after years, I am ACTUALLY enjoying just watching all these gorgeous papers !! 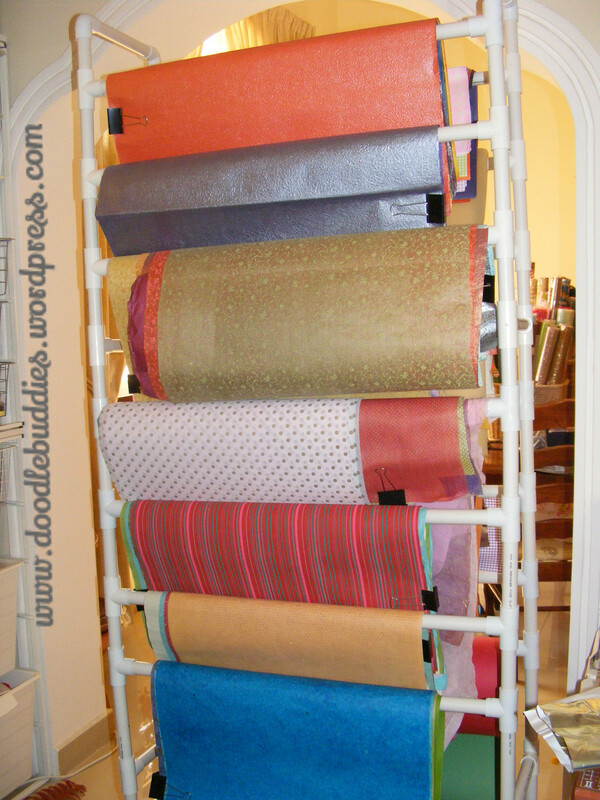 Just to show how much paper is stacked up on the rack ! 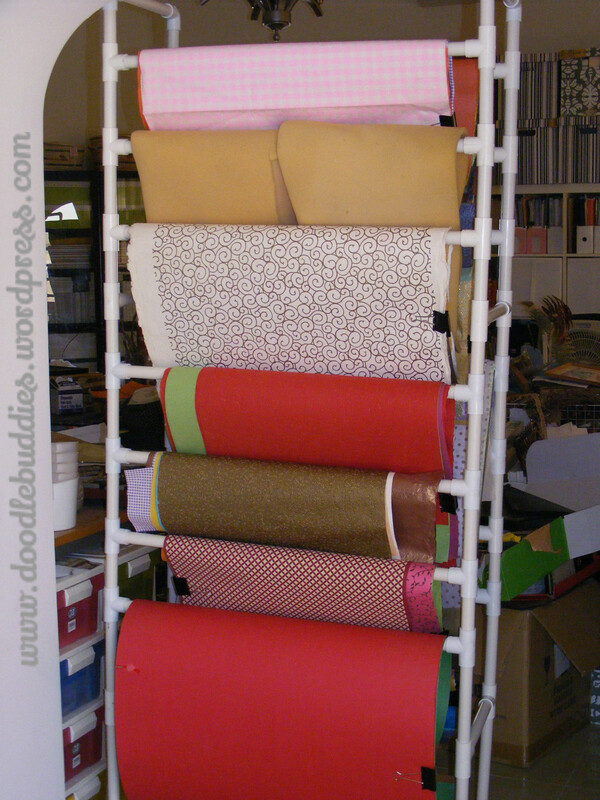 The above profile pic, can show you just how many sheets of paper of various thickness, the rack is housing. So there you have it !! This was my PVC project but I am so inspired by this success that a lot of more newer ideas are already churning in my brain soup ! It is a labor intensive project but the end result is so awesome and functionally great, that the hours put in are well worth it. Although, I had planned to keep it initially closer to the stairway, It now adorns my studio’s second exit !! And yes, I keep getting asked, where I “BOUGHT” it from !! Needless to say, I see, jaws dropping as soon as I explain the whole process 🙂 What a joy !! In so many ways, it has actually turned into a conversational piece in my studio !! I hope you liked and perhaps even found some inspiration in this project. I am sharing this post with the following link parties. Do join them as well for newer ideas and creative sparks. When Bilal was just a baby, I would take him in his stroller over to Ikea, which was then, in Deira City Center. I remember spending longer time in the coffee shop in the premises than shopping ! Loved their selection of meals and their coffee too. You know, suddenly, I just realized, this sounds like a promotional script for Ikea ~ Ok I promise ~ I havent been paid by them for reminiscing my beautiful memories ! Why dont I just return to 2012 !! Well, with more work order comes more mess naturally ~ and what does Naush do ??? 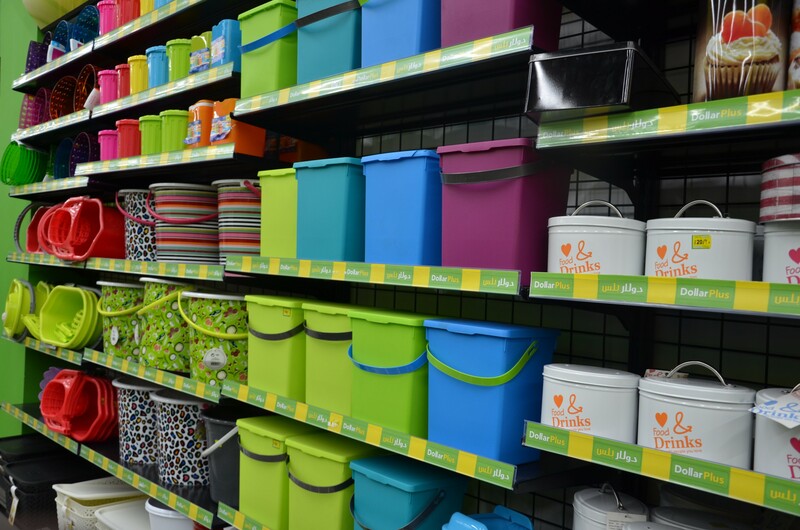 Storage boxes/buckets/baskets etc ofcourse ! I couldnt have picked a better time ! I just know fate was favoring me or maybe hinting at me 🙂 You’ll never believe what I landed up with ! A huge load of these white, black, orange and green boxes had just arrived in the ” as-is ” section. Naturally I took a deep dive and stacked as many I could on two trolleys. 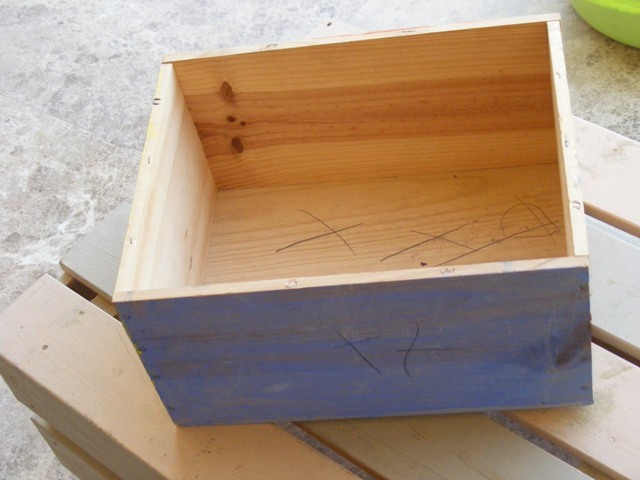 Hey, lets just face it, a mom and a crafter can never have too many storage boxes, right ?? A hoarder ! I think, there is a genetic connection between artists and mess. No matter how hard I try, my studio can remain pretty and presentable only for like a week and then, it breaks down again. I know, alot of you face the same predicament. 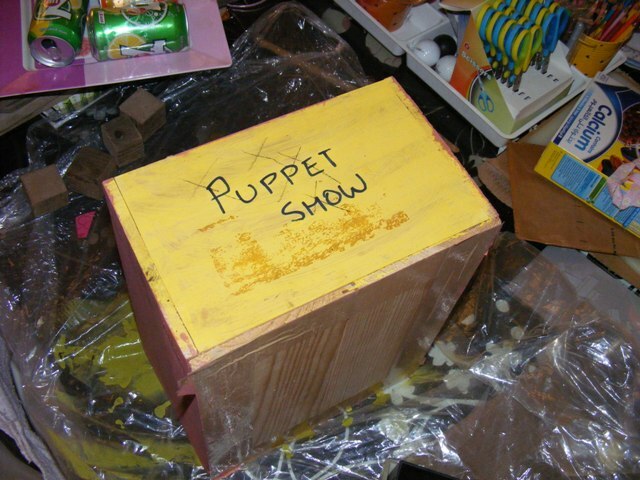 Truth be said, I think, I have a super large job ahead of me in cleaning, organizing and maybe even refurbishing the studio and perhaps thats why I dont want to open the pandora’s box just as yet. I do hope to fill these beautiful storage boxes and maybe even alter them alittle bit but for now, they are still waiting. Here are my precious boxes. 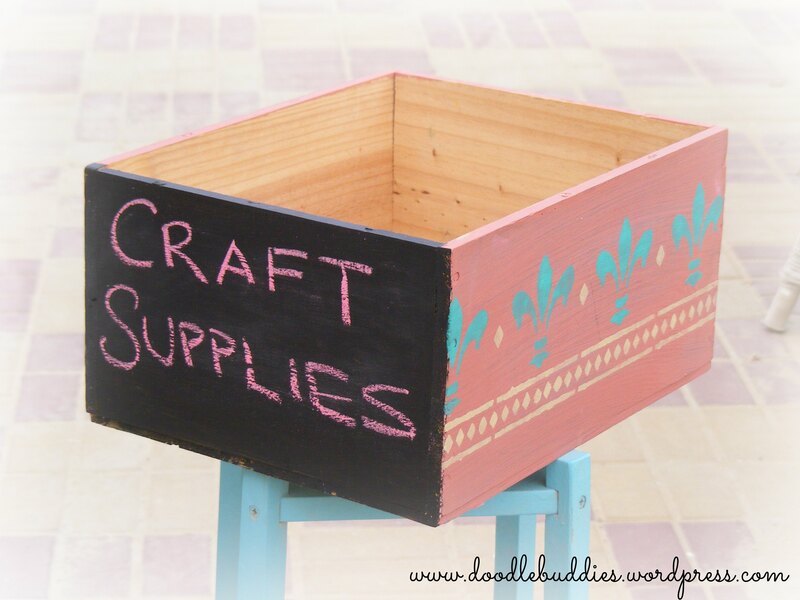 Linking this post to the following site for my crafter friends to know that these boxes can be used excellently for storage and organizational purposes.